One of my favorite things about mummy's made with love sessions is the leftover ingredients! To reduce wastage (and to indulge me a little), I am usually given the leftovers. 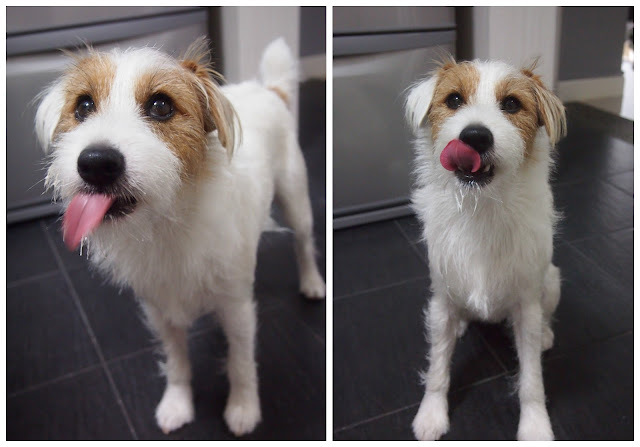 The leftovers from the chicken pops was none other than... YUMMY yoghurt! 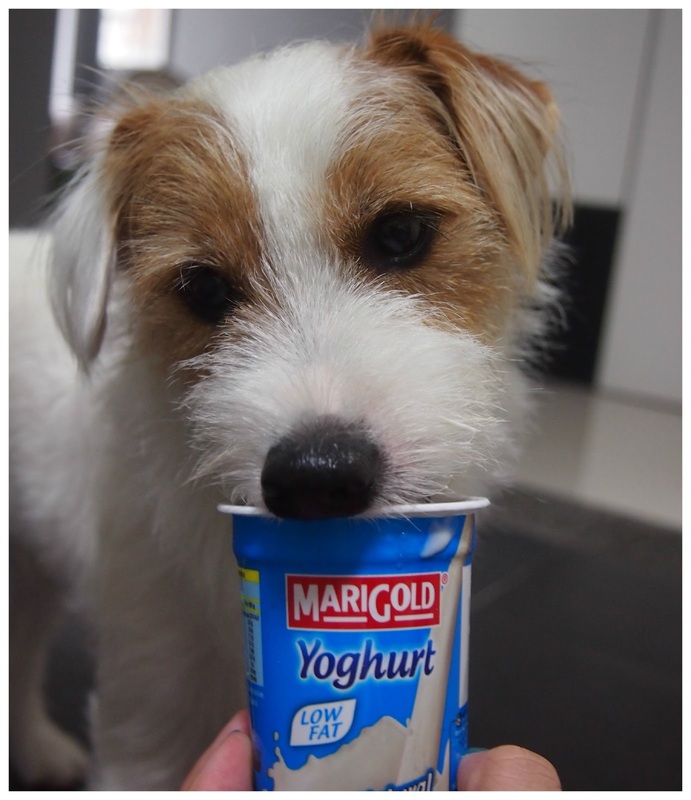 But the truth is... plain yoghurt is actually good for us. The active bacteria, acidophilus, acts as probiotics and keeps the good bacteria our intestines in check (knocking out the bad bacteria). Thus, aiding our digestion! The yoghurt was seriously lip-smacking good. Each time mummy removed the yoghurt out of my licking range, I would continue to lick my face and nose clean. 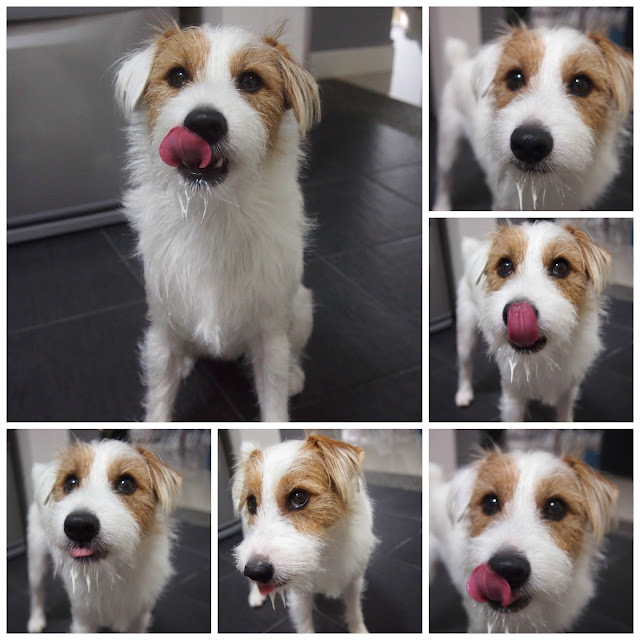 Hence, mummy was extremely fascinated with the number of different expressions I can make while licking my face clean. Also, check out my yoghurt-coated goatee. Pity good things always finish way too quickly.